Around 52,000 people have been displaced so far amid the disastrous and dangerous fire in the county, in about a century. Rescue workers on Friday said they were searching for more than 1,000 people who have been missing according to the reports, in a northern California town, which has been reduced to ashes by the wildfire. The death toll has gone up to 71 now. The ‘unaccounted for’ list of the Sheriff, has a jump of about hundreds of missing people, for a second successive evening, which was around 631 previously. The officials said on Friday that remains of eight more victims had been found in and around the town of Paradise. The deadliest campfire, in a century, had erupted a week ago in Sierra foothills, 175 miles (280km) north of San Francisco. Kory Honea, the Butte County sheriff, said on Friday that a list that he released on Thursday, which he called a ‘dynamic list’, of 631 names has now increased to 1,011 names. He also urged the people to consult the list to see if their names are on it and let authorities know if they are fine. White House has announced that President Donald Trump would visit California on Saturday to meet the victims from northern and southern California. However, critics have said that Trump politicized the fires by casting blame on forest mismanagement. Around 12,000 homes and buildings burned hours after the blaze erupted, the California Department of forestry and fire protection said. The fire left only debris and ashes, causing a large loss of property too. Firefighters have been labored to contain and suppress the flames. The sudden increase in the number of missing people is due to a detailed review and inspection of emergency calls and missing reports, and continuous search for the victims. Sheriff Honea has asked the relatives of the missing to submit DNA samples to hasten recognition of the dead. But he said those who are unaccounted for, may never be identified. The wildfire grew to 140,000 acres or 219sq miles, on Thursday as crews managed to push containments to about 40%. 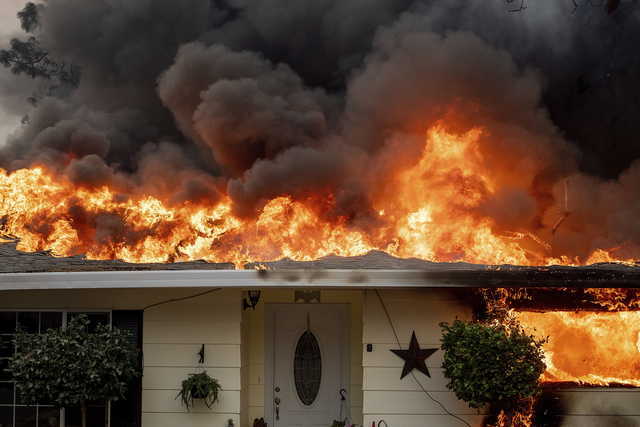 There have been other minor blazes too, in southern California including the Woolsey fire that is linked to three deaths and destroyed nearly 500 structures near the Malibu coast, west of Los Angeles. The worst thing is that the wind conditions are only going to make it even much harder for the area, this weekend. 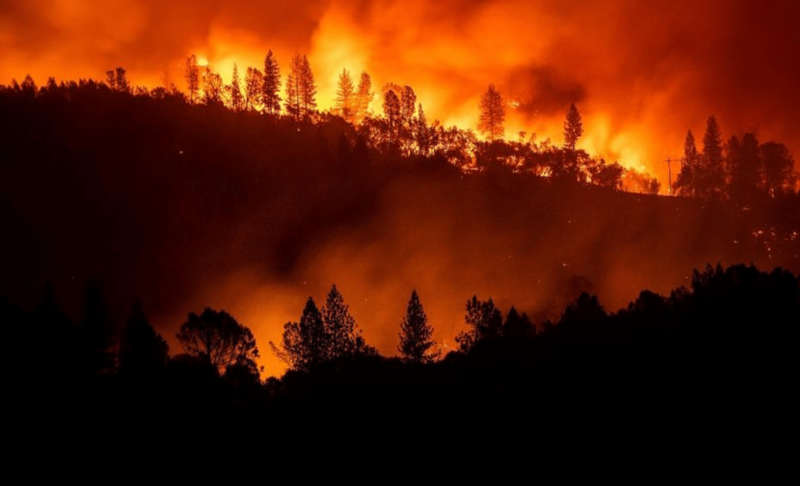 According to the scientists, the two seasons of devastating wildfires in California are linked to drought, which is symptomatic of climate change.